Introducing Goldie the Goldfish… because fish make me happy! I have 3 tanks, currently all occupied with fish. I love watching them swim about and making sure they’re healthy and happy. I was kinda obsessed for a minute. So instead of of boring my friends and fam with my fish stories I decided to start a blog. Yes, I have a fish blog. 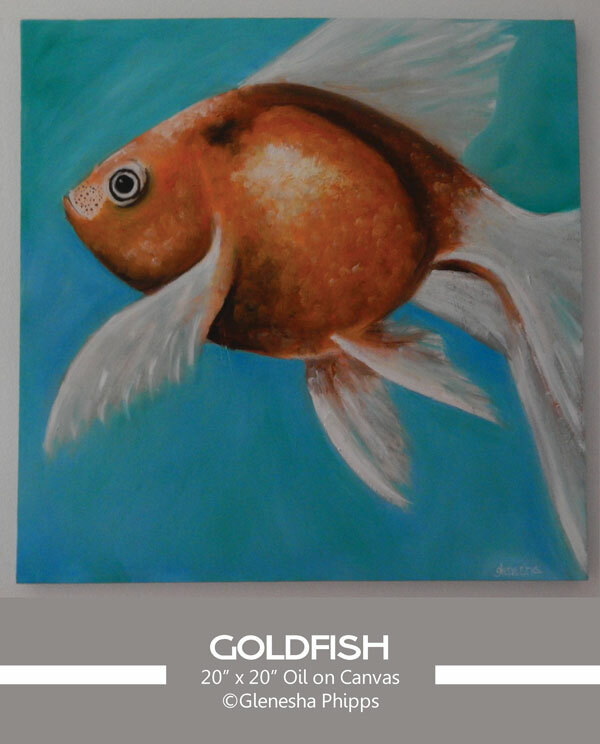 I started Goldie the Goldfish years ago and I finally decided to finish her. I have several other unfinished paintings that I intend to finish this year.